What happens if the developer makes changes to the design and floor plan? We bought an off-plan property three years ago. Recently we got to see the show villa and discovered that there were changes made to the floor plan without our consent. There are a few other differences between what is promised in the brochure and on the website against what is seen in the show villa. Is this allowed? And what can be done about it? It is important to check whether the sale agreement provides that the developer may make changes to the design and floor plan. However, this would only apply to fairly minor changes as the law grants the purchaser the right to apply to court for the termination of the contract if the developer makes material changes to the specifications of the property as set out in the agreement (and the advertising material). It is not easy to define what “materially changes” means. If the value of the property would be significantly less due to the changes, or the purchaser can show that he would not have purchased the property with the amended floorplan, it is likely that the change would qualify as material. If the changes amount to the reduction in size of the property once built, the law makes specific provision for the consequences thereof. Article 13 (3) of Executive Council Decree 6 of 2010 provides that “the developer must indemnify the purchaser if the area of the real property unit is less than the agreed area by more than 5 per cent of the net area of such unit”. 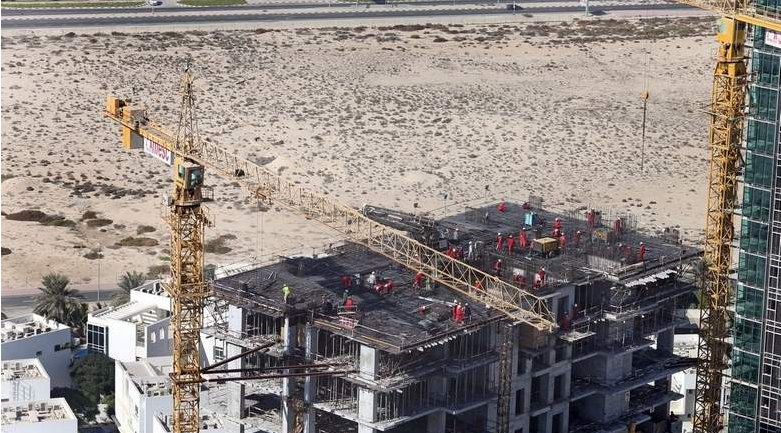 In a case heard by the Dubai Court of Appeal, it was determined that if the unit is 6 per cent smaller, the developer is only obliged to pay compensation of 1 per cent. Developers may include stipulate in a sale agreement that they may amend the size of the unit entirely in their own discretion, limiting the purchaser’s right of recourse. Although the Real Estate Regulatory Agency (Rera) does regulate the advertising of off-plan units, there is no provision relating to the advertised sizes of units. Our landlord verbally told us that he would not increase the rent of our two-bedroom apartment in Dubai in the second year. However, now that we wish to renew the lease, he said it will be increased by 10 per cent. Can he demand such an increase? Decree No. 43 of 2013, Determining Rent Increases for Real Property in the Emirate of Dubai, regulates any increase in the annual rent of any property in Dubai, including in free zones, and the percentage of increase. The Dubai Land Department has developed a rental increase calculator, which is readily accessible on its website for any person to check whether any increase in their annual rent amount applies. The tenant cannot rely on the landlord’s verbal undertaking as the circumstances and applicable principles in which an increase may be effected are set out in a decree (law). Even if such undertaking was recorded in the initial lease agreement it is unlikely that it could be enforced by the tenant. My partner and I purchased a one-bedroom unit in Dubai in 2008. After paying approximately a third of the purchase price, the developer experienced problems with the project. We reached a settlement with the developer and agreed that the money we had paid will be transferred to another project of the developer where we reserved a studio apartment. However, we only signed a reservation form with the developer and not an offer to purchase. The second project has now been cancelled after several years. How can we recover our money? The process of recovering any money from a cancelled project can be protracted and the purchaser will need the process adopted by Rera and the committee for the liquidation of cancelled projects to run its course. Once the cancelled project is with the committee, the purchaser should ensure that his or her details and claim are recorded with the committee so that he or she is included in the distribution of any proceeds upon the liquidation. My wife and I have recently purchased an apartment off-plan. Who is responsible for registering the unit on the off-plan register and who is responsible for the costs? It is the responsibility of the developer to register the sale contract on the off-plan register once 25 per cent of the contract value has been paid to the developer. Upon registration, a certificate of registration is issued in the name of the purchaser, which gives the purchaser the security that the unit cannot be sold or alienated without his knowledge, provided the purchaser is not in breach of the sale contract, while also providing the protections afforded by the law in the case of cancellation of contract. The registration fees of the off-plan sales contract are paid by the purchaser and amounts to 4 per cent of the contract value, together with certain administrative charges. If the purchaser does not pay these fees or cooperate with the registration on the off-plan register, the developer will have the right to cancel the sales contract and retain 30 per cent of the money paid by the purchaser. What can I do if my landlord refuses to repair the air-conditioning system in my unit? Most lease agreements set out the maintenance obligations of the tenant, mainly minor maintenance associated with day-to-day usage of the contents of the unit, which would include replacing any items which are broken by the tenant. The landlord is, however, responsible for the major maintenance items, which include the air conditioning, plumbing and sanitary installation, the electrical system, major appliances (if furnished) and the overall structure of the unit. The tenant would be able to file a complaint with the Rental Dispute Centre, (except if the rental unit is situated in one of the free zones) for an order to compel the landlord to effect the repairs (a petition order). Tenants may also attend to the repairs themselves and claim the amount as damages from the landlord. The tenant may also have the right to terminate the rental contract under certain circumstances. In any of these courses of action, it is important for the tenant to comply with the terms of the tenancy contract in respect of any notice, which is required to be given to the landlord before any action is taken. There are court fees for any claim for compensation or for cancellation of the tenancy contract.